As the healthcare industry braces for ICD-10 and the demise of 4010, smart constituents are making plans for 5010, which promises to bring clarity and consistency to claims transactions. The upcoming switch to ICD-10 code sets may be garnering all the attention in the medical coding world, but there’s another component to the transition that is just as important. In fact, the Centers for Medicare & Medicaid Services (CMS) and others in the HIT business call the transition to version 5010 of the ANSI X12 standard for claims transactions necessary for ICD-10 adoption. “Right now, everything you see is the coding,” says Michael Magliaro, MBA, MHA, vice president and national healthcare practice leader at TM Floyd & Co, an IT consulting firm in Columbia, S.C. The 5010 standards will replace the existing 4010/4010A1 version of HIPAA transactions, which go back nearly a decade—an eternity in the IT world—and address many of the shortcomings in the current version, including the fact that 4010 does not support ICD-10 coding. “It’s absolutely essential that the 5010 platform be stable before the ICD-10 conversion,” says Joel Slackman, managing director for policy at the Blue Cross and Blue Shield Association. From a payer’s perspective, Slackman says ICD-10 will be the biggest change related to the HIPAA transaction rule to date, one that will require adjustments to benefit design, fraud and abuse prevention, and medical policy. “Every provider contract is going to have to be renegotiated,” he says. “From a technical standpoint, you can’t do ICD-10 without 5010,” adds Stanley Nachimson, a former senior technical advisor in the CMS Office of HIPAA Standards who now serves on the 5010 Task Group of the Workgroup for Electronic Data Interchange, a multistakeholder industry group that promotes the efficient movement of electronic health information and helps facilitate standards development. The conversion will require changes in coverage, dealings with health plans, and quality measurement; hospitals also may see payment fluctuations. “Docs especially want to pay attention to health plans and the changes they are making,” Nachimson advises. A February white paper from HIMSS calls 5010 a “second chance” to get HIPAA right by gaining the efficiencies and cost savings promised when the transaction rules went into effect in October 2003. 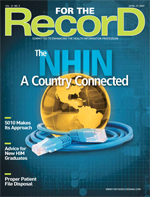 “However, realizing these benefits is dependent on fully implementing the standard and increasing provider usage of electronic transactions,” according to HIMSS, which notes that the first implementation relied heavily on workarounds and coding addenda, resulting in slightly different standards for each payer. Ana Croxton, vice president for electronic data interchange products and services for Atlanta-based ambulatory electronic health record vendor NextGen Healthcare Information Systems, agrees that 5010 will bring some consistency to all information and even go beyond the HIPAA baseline. For example, HIPAA only requires X12 270 and 271 patient eligibility transactions to report “active” or “inactive.” NextGen and many others add details that differ from system to system. “5010 is more specific,” Croxton says. Likewise, 835 transactions for electronic remittance advice are inconsistent from payer to payer; the new code sets address that deficiency. “A lot of this is just fine-tuning rather than starting from scratch,” Croxton says. Whicker, immediate past chair of the Workgroup for Electronic Data Interchange, says that the updated 270 and 271 transactions will bring “a significant number of changes and improvements” for providers. The new standards clarify instructions for sending inquiries based on whether the patient is the health plan’s primary enrollee or a dependent. If the eligibility date, plan name, or benefit effective date for a particular encounter is different from that of the overall coverage, the health plan must report it as part of the transaction, and the update allows for that. Version 5010 also requires alternate search options for 270 and 271 transactions to allow providers to search patients by member ID, last name only, or date of birth to help eliminate false negatives and unnecessary phone calls to payers, according to Whicker. The 835 transaction for remittance advice adds an embedded link to payer URLs for some payment adjustment and denial codes, making it easy to find Web sites in case clarification is necessary. Whicker also says that the new version of the 834 transaction for benefit enrollment and maintenance will allow ICD-10 coding to report preexisting conditions and address some lingering privacy concerns from the existing standard. Along the same lines, the 276 and 277 transactions for healthcare claims status have minor changes addressing privacy concerns about sensitive patient information that is unnecessary for business purposes. Unlike with the previous version, 5010 implementation guides, now known as technical reports, are not free. Each report has a list price of $600, or a package of all nine costs $2,500 through Washington Publishing Company, though members of ASC X12 are eligible for discounts of up to 70%. Reacting to many public comments that earlier proposed deadlines were unworkable, Health and Human Services (HHS) said in January that most healthcare organizations have until January 1, 2012, to meet both the 5010 standards and the associated National Council for Prescription Drug Programs version D.0, which replaces the current version 5.1. The ICD-10 compliance date now is set for October 1, 2013. With the publication of the final rule on January 15, the standards are ready to go, though HHS always reserves the right to make modifications—with a public comment period—as it did in 2002 with the HIPAA privacy standards. Still, the extra time should not allow for complacency. The National Committee on Vital and Health Statistics, an HHS advisory board, recommends allowing two years to build and install new systems, plus additional time for testing. The Workgroup for Electronic Data Interchange says testing should take a minimum of one year. With the 5010 switch less than three years away and the ICD-10 deadline 21 months later, it is time to get moving. “Three to four years really isn’t a lot of time,” Magliaro says. Get in touch with health plans, technology vendors, clearinghouses, and other business associates as soon as possible and ask when they expect to accept test claims under the 5010 standard. “You can’t sit back and wait,” Nachimson says. “They will have multiple customers to serve.” Organizations that stall could get pushed to the back of the line. “There’s no reason to wait to test 5010,” says Watkins. Ingenix is developing its systems this year, testing internally next year, and then testing with trading partners in 2011 to make sure it is ready for both changes. A survey from the College of Healthcare Information Management Executives conducted last November, three months after HHS published its proposed ICD-10 and 5010 regulations, found that many hospital chief information officers (CIOs) were still waiting for IT vendors to inform them of plans to update products to meet the new standards. About 55% of the 72 respondents said vendor readiness and cooperation would be a major challenge in their compliance efforts. More than seven in 10 said they were unsure whether vendors would include ICD-10 in scheduled software upgrades. Still, the CIOs generally indicated that the switch to ICD-10 and 5010 would facilitate more accurate coding, billing, and reimbursement—once their facilities get past the conversion costs in an economic climate in which health systems of all kinds are cutting budgets. Those who have not heard from their vendors by now ought to contact those technology suppliers, including clearinghouses. There should be no problem with the larger service bureaus updating their software, says Dan Rode, MBA, vice president of policy and government relations for the AHIMA, but it is always a good idea to ask. “It’s really important for practices to get in touch with their clearinghouses right now,” he says. For example, the 278 transaction for referral authorization under 5010 is richer than the current 4010 version and, for the first time, allows attachments. Watkins expects this feature to save money by automating the expensive paper-based referral process—but only if all constituencies enable it. Likewise, 270 and 271 claims eligibility under 5010 depends on payers implementing this function, while online claims adjudication only works if the provider is ready. “There’s a lot of dependencies,” Watkins says. Since everyone likely will be on different schedules, Ken Bradley, vice president for transaction and interface development at Navicure, an Internet-based medical transactions clearinghouse, says clearinghouses are as relevant as ever. “We really do insulate [providers] from wildly varying time schedules,” he notes. Bradley says Navicure has begun internal testing and wants to be ready when its trading partners are ready to test their systems. The effort involves the clearinghouse conducting a gap analysis of content changes, so customers can know what they will need from their software vendors. Navicure is able to stop improperly coded transactions, allowing the provider to make the necessary changes before sending it along to the payer and going through the rejection process. “Any spikes or problems are immediately recognizable,” Bradley says. With this in mind, Bradley believes the transition to 5010 may not require major workflow changes on the provider side. “We’d like to standardize the front end for our practices as much as possible,” he says. Bradley believes the ICD-10/5010 change may be like the transition to the National Provider Identifier in the sense that some entities will be ready for it and many won’t, making it important for the clearinghouse to maintain its matrix of all applicable payers. He hopes that the industry will collectively develop some sort of crosswalk test in the next year or so. “Our plan will be to implement and be capable of processing ICD-10 at the same time as 5010,” Bradley says. Vendors also will be preparing for the new standards at the same time, even if payers and providers may not. “We’re going to try to do both at once,” Croxton says. The 5010 deadline comes earlier, but ICD-10 promises to be more complicated. “Unlike with the introduction of HIPAA,  is X12 to X12, so it’s not really that dramatic of a change. It’s an upgrade,” Croxton says. However, vendors will likely need to support both 4010 and 5010 simultaneously during the transition period, and each payer will be on a different schedule. NextGen says the transition will happen in three phases: development, testing, and implementation. Development is something mostly for vendors and clearinghouses, not providers, unless they happen to have homegrown systems. Most providers still will need to perform a gap analysis in concert with their vendors and know when new releases are scheduled. “We all have some software changes,” Croxton says. “What our customers will ultimately have to do is upgrade.” She says NextGen contracts include upgrades at no additional costs, though there may be some expenses on the customers’ end to prepare for the new software. NextGen plans on delivering the upgrade by the end of 2010 to allow two full years for testing. Each step of the transition will have an educational component. “We view that as being our responsibility,” Croxton says. NextGen will reach out to customers through direct notification, white papers, and, as the deadline approaches, Webcasts and conference calls. “It’s an ongoing education process,” she adds. The interactive events also give providers a chance to educate and learn from each other. Whether the change is gradual or sudden will depend on when clients and their payers are ready, Croxton says. “They have to go through their internal testing,” she notes. And that could be the toughest part of the whole process. “The stars will have to align,” she says. — Neil Versel is a journalist in Chicago specializing in HIT.